Artists Lucas Parolin and Ronan Le Fur on finding beauty in the galaxy's wretched hives. Ben Kenobi’s words in Star Wars: A New Hope introduced a set of scenes on the sandy streets of Tatooine and in the bustling cantina that blew audiences’ minds back in 1977. And in those scenes, we found out that Star Wars was not just about the ragtag Rebel Alliance and the mighty and authoritarian Empire. 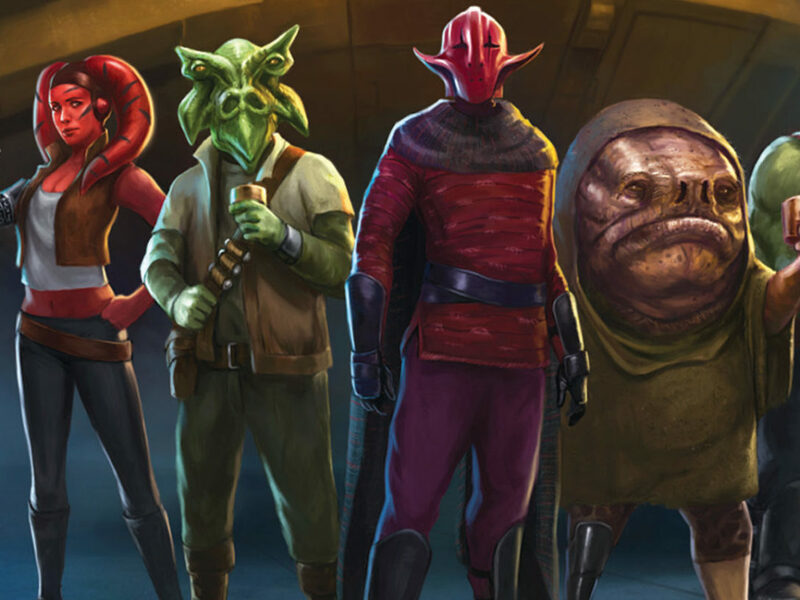 There was a whole other side of menacing yet intriguing characters: lowlifes and criminals, scoundrels, and well…galactic scum. In later stories, we’d meet more colorful characters that worked both sides of the law: bounty hunters, gangsters, crime lords, and pirates. 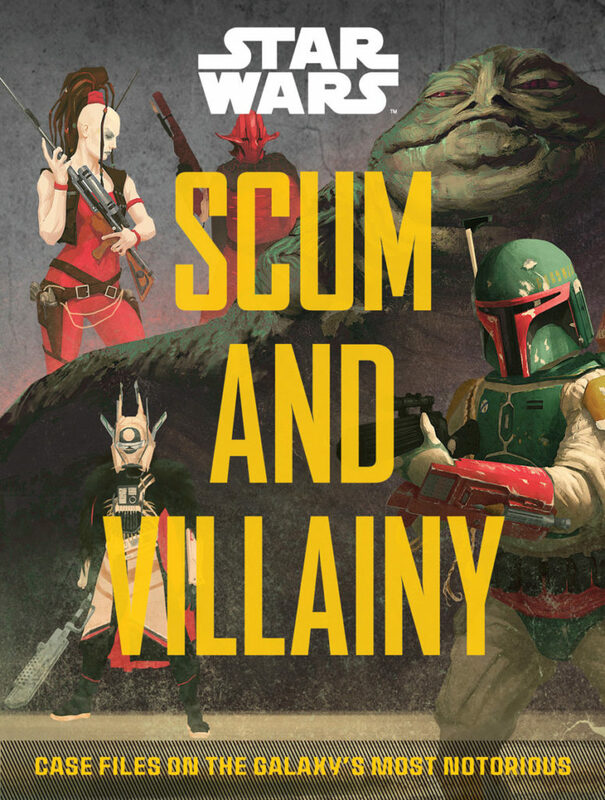 The new book, Star Wars: Scum and Villainy – Case Files on the Galaxy’s Most Notorious by Pablo Hidalgo, dives headfirst into the murky underworld of the galaxy far, far away, from the no-good swindlers to the most lethal assassins and crime bosses. 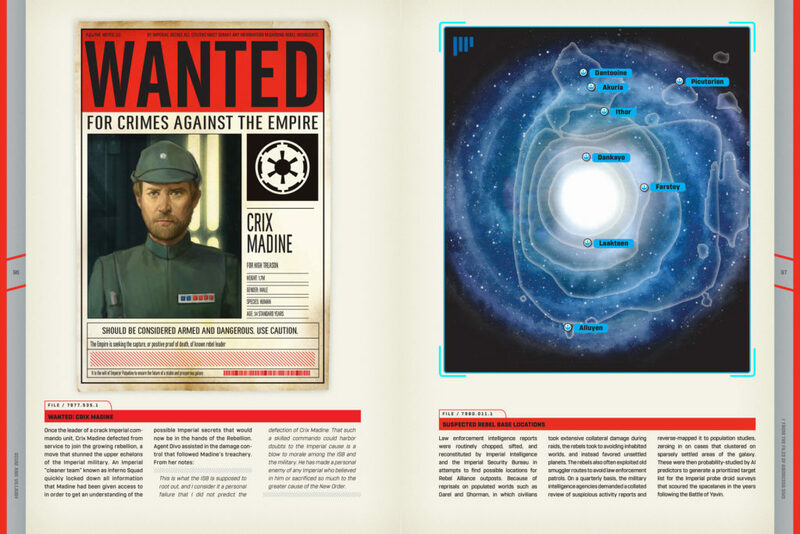 But the book does more than just serve as the case files to the galaxy’s most wanted, it shows them off through marvelous artwork. Epic Ink, part of Quarto Publishing, brought on a crew of fantastic artists to illustrate Scum and Villainy, and StarWars.com chatted with artist Lucas Parolin, who created the cover as well as several pieces inside the book, and Ronan Le Fur (a.k.a. 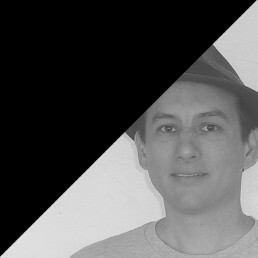 Dofresh), whose art helps introduce each chronological section of the book. 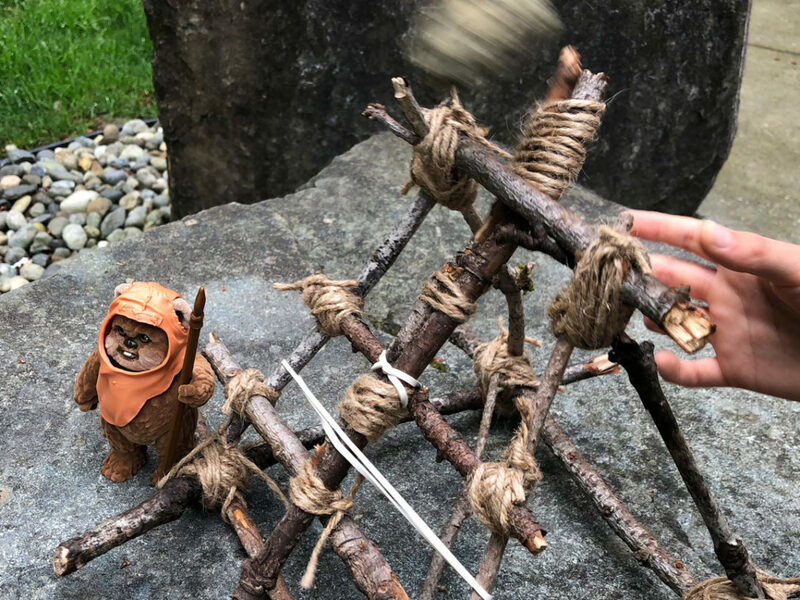 StarWars.com: What drew you to this project? What is it about Star Wars and the underworld of the galaxy that makes it interesting as an artist? Ronan Le Fur: I was originally contacted by Sam Dawson, designer for Quarto Publishing. 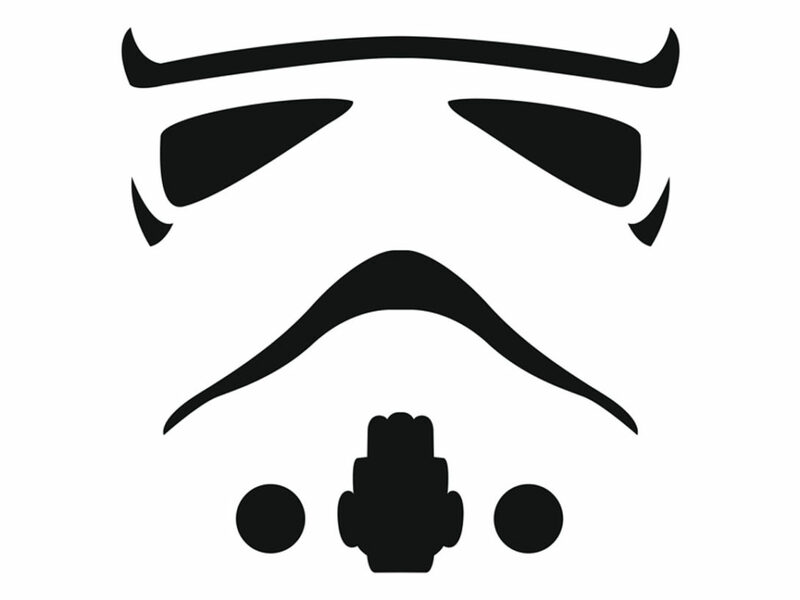 He shot me an email to see if I would be interested in working on a Star Wars resource book. As a fan of Star Wars and science fiction in general, this is the kind of offer you cannot refuse. Star Wars is such a vast and iconic universe; it allows an artist to explore many possibilities in terms of designs and colors. Lucas Parolin: As a child, I was always a Star Wars fan. My brother and I grew up watching the original trilogy. When I was contacted to be part of the book, I knew I owed that to myself. Star Wars is filled with so much life and so much background, making it very attractive to explore as an artist. StarWars.com: What’s the general process like for an artist asked to illustrate for a book like this? Lucas Parolin: Sam Dawson presented me with a list of options that I could choose from. He was very open regarding that. Then, after I was assigned to the illustrations, I did some options to show the composition and how the scene was going to be. It’s important to start with a sketch, so they can visualize if it’s going towards what is intended before I commit too much to an image. Ronan Le Fur: For this particular project, I was in charge of the openers of the book. The designer had a rather precise vision of what he had in mind for these large pieces — period, location, characters, action. I had to find a way to depict all these elements in an interesting and efficient way. Each one of the openers also had its own color scheme that I had to stick to. 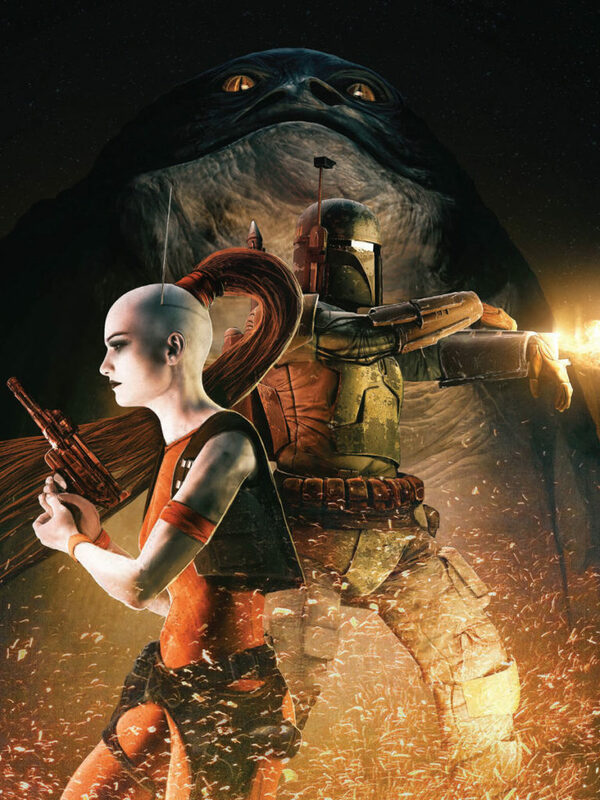 StarWars.com: What’s your favorite piece that you created for Scum and Villainy? Why? How did that piece come to be? Ronan Le Fur: I guess it is the third opener, in the New Republic era. 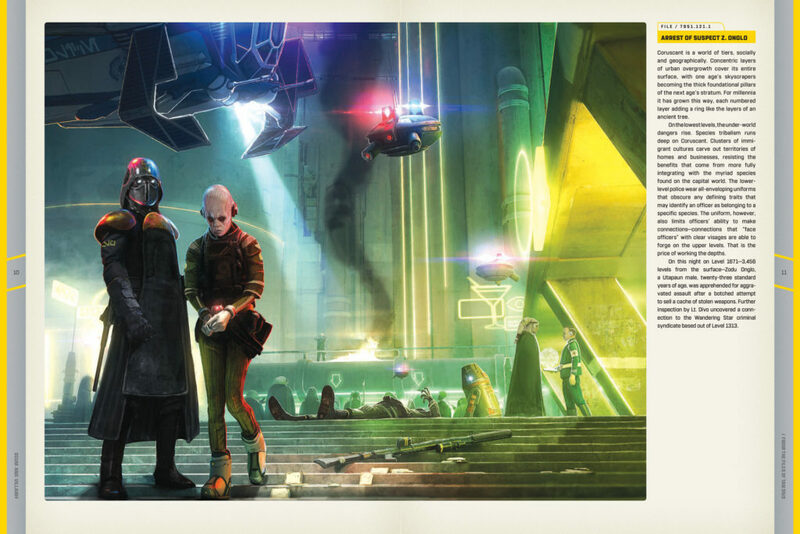 It depicts a group of police officers patrolling the market of Hosnian Prime, headquarters of the New Republic. I really like the lighting and the overall simplicity of the image, and also the feeling of tension and danger due to the fact that police officers are surrounded by menacing members of the Guavian Death Gang. It looks like things are just about to turn bumpy. And there were, of course, also a lot of details and characters in the distance that were very fun to illustrate. For creating it, I had notes from the editor for this particular piece — era, location, and main characters involved — as usual. I used my typical workflow: I first jump into a 3D software package in order to create a quick sketch of the scene; it allows me to quickly set a frame, place the characters, and a establish basic lighting. Once this very loose step is validated, I start refining, adding elements, textures, and details in Photoshop in order to break the “cold” and perfect aspect of a raw 3D render. This mix of 3D and 2D workflow allows me to easily create many iterations and variations, and in my opinion it is a bit more forgiving than a usual 2D process. The main difficulty here was due to the framing of the image, since each of the openers has a square format. And in terms of composition and action, square is really not the easiest for framing — it tends to create a static, dull effect. I had to struggle with this constraint. Lucas Parolin: My favorite is definitely the cover. It’s very different from what I usually do and I tried to experiment a bit with the style. I tried something that I thought would be nice, and that exploration pleases me as an artist. When they asked me to do it, I was already super busy with many other illustrations, but I couldn’t refuse. So the main challenge was that they didn’t want these characters from the cover in the same scene, since some of them are from different periods. My idea was to make something that felt more graphical, with the background being abstract, to lose the sense of a real scene and make it more like a composition of elements. StarWars.com: Ronan, you created the large detailed pieces that start each of the book’s three chronological sections. How do these pieces tell their own story while also setting the tone for that era of galactic history? Do you consider them as forming a triptych or series? Ronan Le Fur: There is a link between each of these opening pieces: the Divo family. It was one of the threads of the book and family, as you know, is a major theme of the Star Wars universe. You can therefore follow the careers of the Divo family members, all working law enforcement along the different eras of the Star Wars saga. Although it must be a very different task to be a police officer in a democratic republic rather than in a brutal oppressive empire. 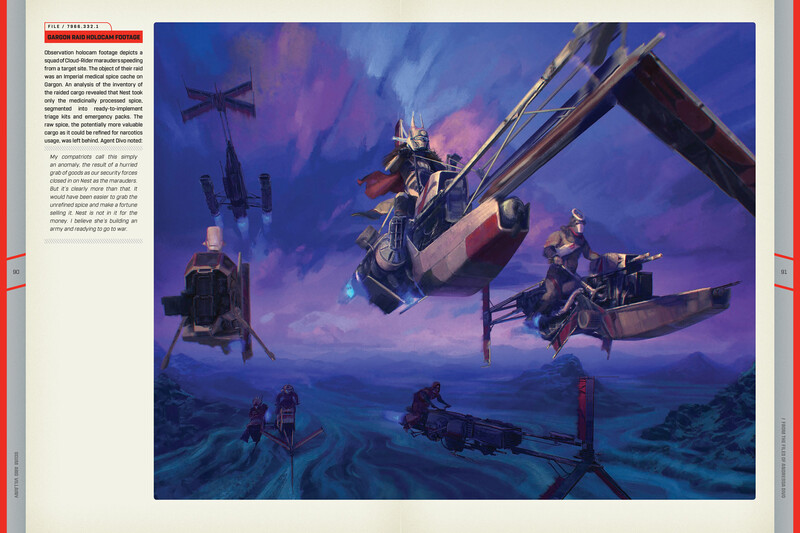 StarWars.com: Lucas, you illustrated quite a few of the wanted posters in the book — how does making the mug shots contrast with developing fuller scenes, like the cover or the Cloud-Riders in flight? Lucas Parolin: The mug shots are simpler, in a sense of being a portrait and not a full scene, but then the challenge I made to myself was to bring something extra with these portraits. Anything I could do, like playing with the expression or even suggesting new ideas. One of these new ideas ended up working and being accepted: showing Madine in Imperial clothes. The idea was, since he is wanted now, the last picture they had of him could be from while he was working there. This way, instead of just painting his portrait the same as the images we all know, I tried to bring something extra to expand the universe a bit more. For the Cloud-Riders…it was just so much fun! I just imagined a scene with the feeling of riding with the gang freely on a beautiful environment. 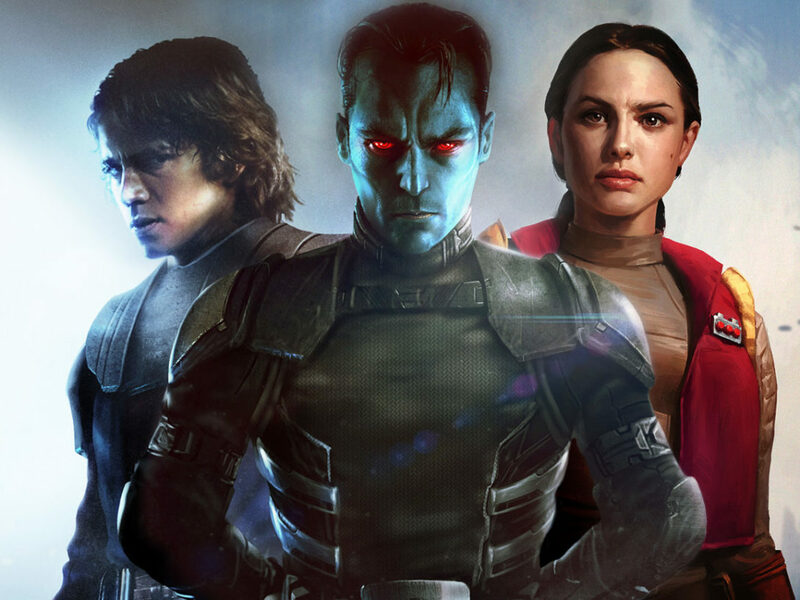 StarWars.com: Also, you ended up doing quite a few images based on characters and scenes from Solo: A Star Wars Story. Lucas Parolin: It was so much fun and challenging at the same time. I was creating these scenes before the movie came out, so the difficulty was the fact there was secrecy with what images and information they would provide to me as reference. The main concern is always not leaking any important information and I understand that this is a high priority for them. I respect that. So when I felt like I didn’t understand something enough, I would watch the trailers several times and compare to the references I had to try to understand more the context of something. 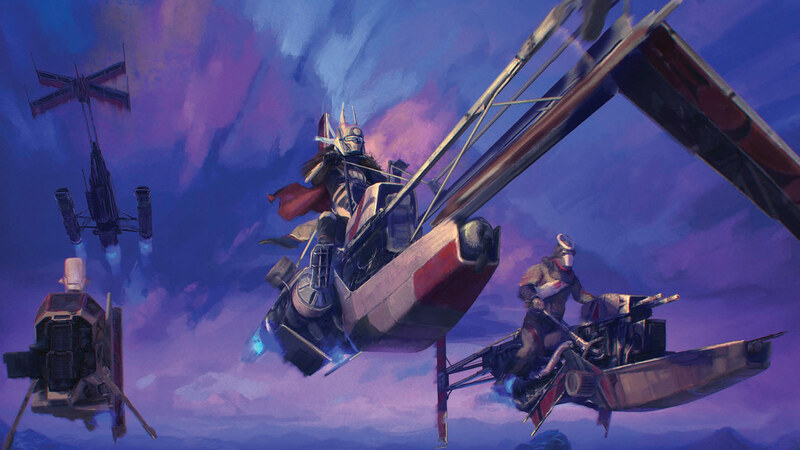 StarWars.com: Ronan, the frontispiece with Aurra Sing, Boba Fett, and Jabba the Hutt is especially striking — what was building this piece like? Ronan Le Fur: At first this artwork was supposed to be much more complex, with tons of characters from different Star Wars eras. But the image was a mess, too much information, too many elements, too much everything. So I proposed something much simpler with just a few iconic characters in dynamic poses. This image has, in my opinion, a real “Star Wars” feel, very close to what you expect to see in this particular universe and was almost immediately approved by the editor and Lucasfilm. StarWars.com: What was your path into the world of illustration? Lucas Parolin: I always enjoyed drawing, but besides that, I studied it for several years, mostly online with friends and still try to improve by myself all the time. The path of art is infinite, so I can only be humble and keep looking up. It’s always important to have feedback from people you trust, so you can see further. Ronan Le Fur: Originally I used to be a CG artist, specialized in lighting and textures — I guess it explains my workflow. About three years ago I decided to jump to a freelance concept artist and illustrator career. I started by beefing up my portfolio and creating an Artstation profile. After a few weeks I started a series of personal works inspired by H.P. Lovecraft writings, which attracted some attention. Since then I have been working from home for many clients from all around the world, while expanding my own visual universes. 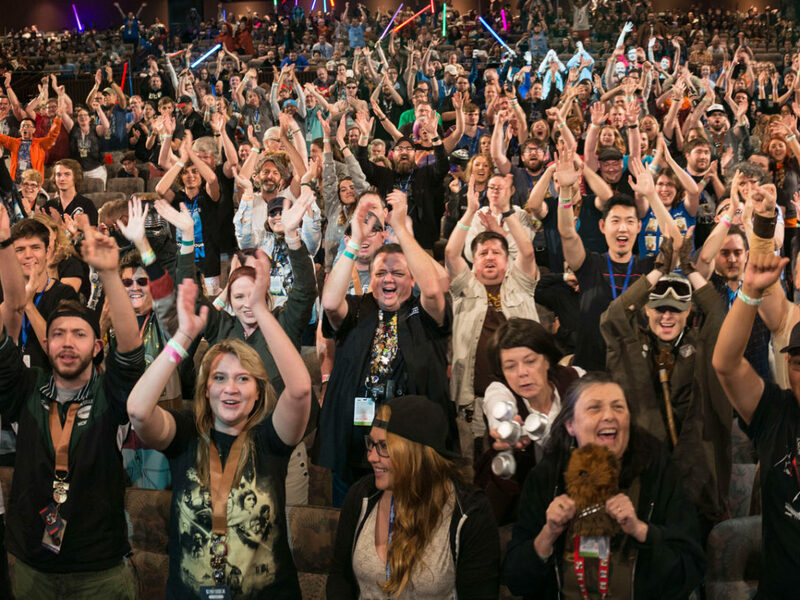 StarWars.com: What tips would you have for aspiring artists? Ronan Le Fur: I still consider myself a beginner, but I would say try to be curious, try to have a visual culture of your own. It is useless to copy what is trendy. Try to find something you really like to draw, and find something you are really comfortable with. It can be illustration, character design, mechanical design, or whatever suits you. Last but not least, try to find people who can give you interesting feedback and critiques on your works. Lucas Parolin: Keep conscious of what you’re doing. 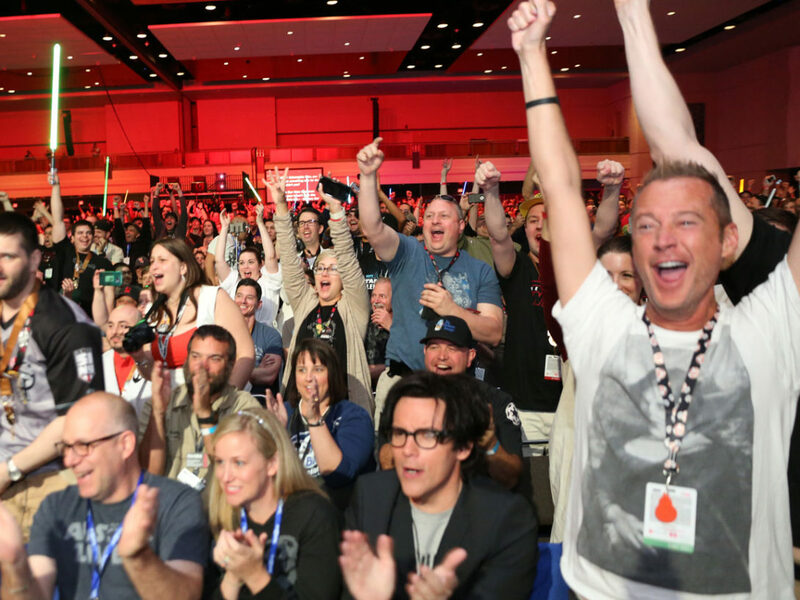 It’s easy to get a caught up on a specific result that feels good to achieve and, although it’s important to celebrate each new step, it’s also important to keep in mind that there is always more to learn. At the same time, this is not something that should make your life harder and more difficult — just something to keep in check. Artistic development takes a lot of discipline. 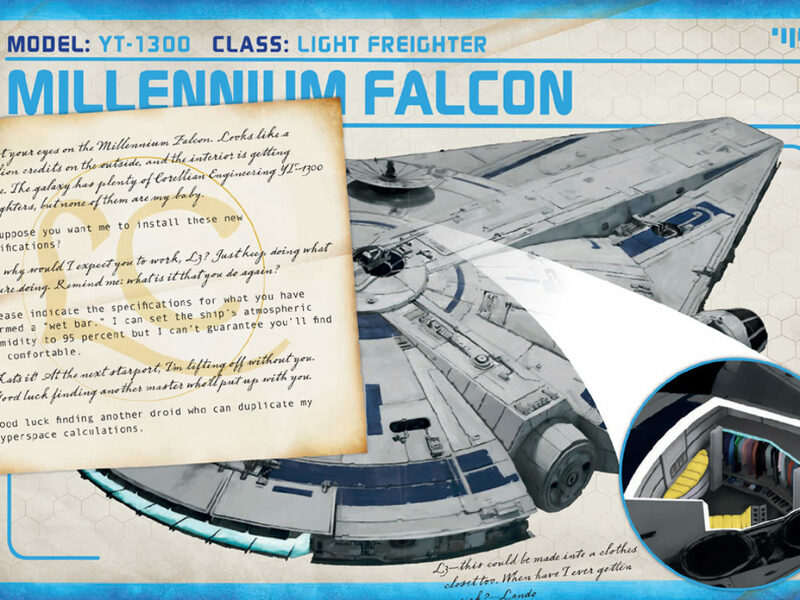 StarWars.com: Are there any secrets or Easter eggs hidden in your Scum and Villainy work for fans to discover? Ronan Le Fur: There is just one little thing: my first name, written with an Aurebesh font, is hidden on a droid in one of the openers. I tried to keep it very subtle and discreet. 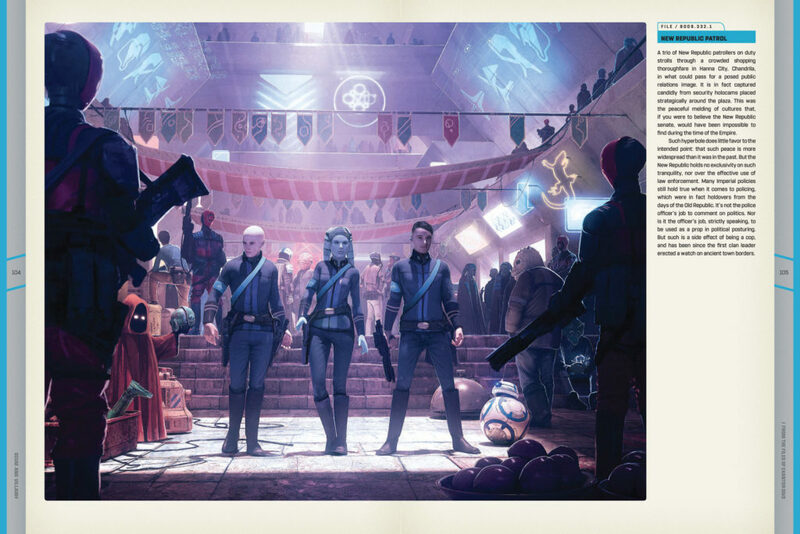 Star Wars: Scum and Villainy – Case Files on the Galaxy’s Most Notorious by Pablo Hidalgo is available now in hardcover from Epic Ink.